Introducing your new coding companion. Codey Rocky, a coding robot for STEAM education. A tool that enables beginners to code within minutes. This three-in-one coding expert is a combination of robotics, programming, and coding together making it perfect for entry-level coding. 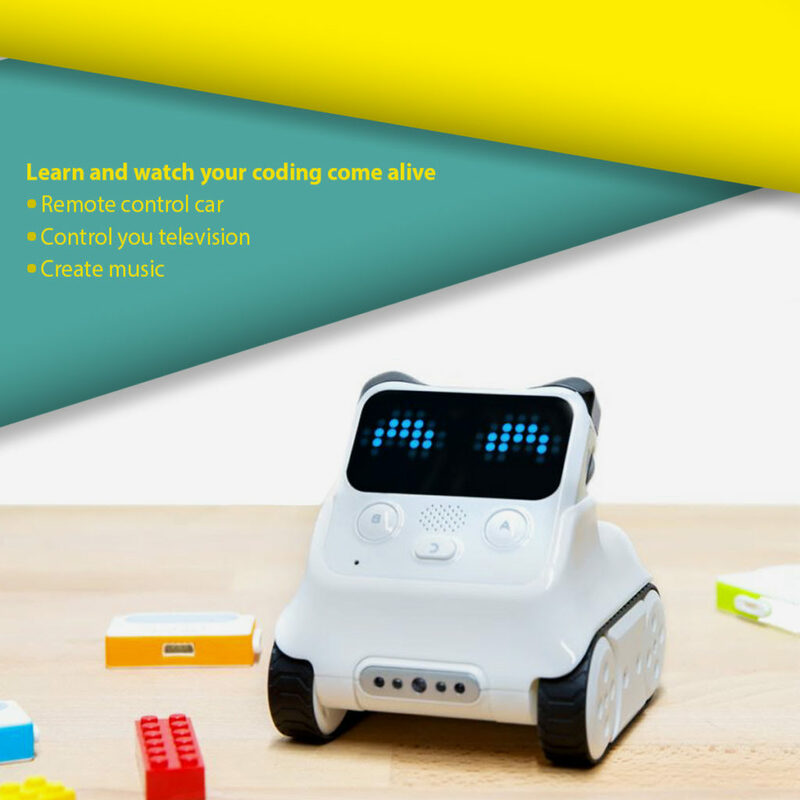 Equipped with over 10 electronic modules like a sound sensor, a light sensor, and an LED dot matrix display, your new coding buddy, is a treasure trove of fun that plays music, follows the light, mimics facial expressions and much more. An easy coding application that empowers children with the skill to create unlimited coding possibilities and experience the delight out of their achievement. It provides an entertaining learning experience for children of age 6 years and above. Codey is the controller with different sensors and programmable central control. The best thing about Codey Rocky is the controller head. The panda head of the robot is like a game controller with 3 buttons, a volume controller, USB-C port and a power button. The kids can easily program it to play it with the inbuilt panda controller head itself,without the use of an external mouse and keyboard. This functionality instantly raises the potential of the Codey Rocky by ten times. Now with just one click, you can turn your visual code into Python code and continue learning an advanced and practical language. Your children can also create dot matrix animations, design games and many other applications with this all in one coding tool. Each move of the robot can be programmed, not only will it enable children to understand each command intuitively but will also find it a very a rewarding experience through hardware creation. The latest invented, cute robot which offers a lot more features than most of their competitors, with a cute design which makes it a favorite for both boys and girls. With powerful features and a truckload of experiences. Codey Rockey can help you turn your imaginations into reality. 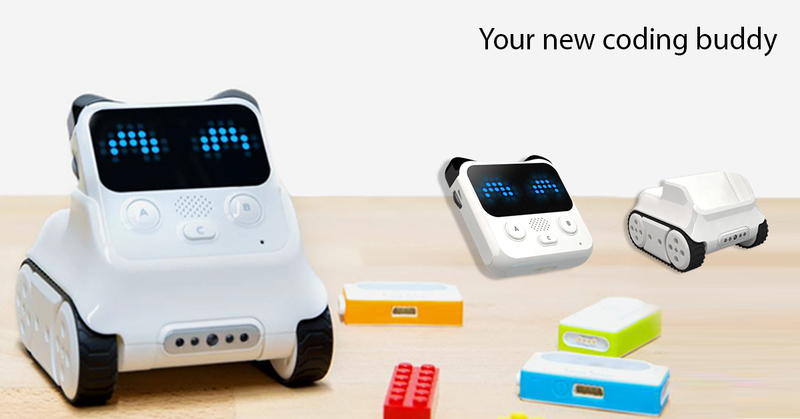 Next PostMAKERbuino – The coolest gaming console.